At Comrade Web digital marketing agency, we work with a very diverse clientele, helping to revolutionize their industries by bringing them into the digital arena. Our clients in the manufacturing industry have been particularly receptive; in the past few years, new technology and increased globalization has led to unprecedented changes in business strategy for manufacturers everywhere. 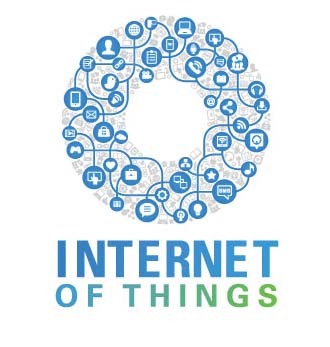 You’ve heard of the Internet, but have you heard of the Internet Of Things? The IDC predicts that “by 2016, 70% of global discrete manufacturers will offer connected products.” In addition to providing seamless connectivity, transparency and analytics, the rise of Internet-enabled machines and instruments means that there will be an even greater focus on automation and software development in the manufacturing industry in coming years. With everything from email to texting to Google Docs, we all know there’s no reason for killing trees anymore. 3D printing, on the other hand, is making a splash in the manufacturing industry by accelerating the production of product prototypes and short-run models. Toss in the flexibility, cost savings, and reduction of waste, and it’s not hard to see why worldwide shipments of 3D printers are expected to grow 98% in 2015. The Internet has led to growing opportunities for digital work for anyone in the world. For manufacturers, this has the added side effect of raising labor costs in many of the countries (China, for instance) where they have factories. To mitigate this chance, many manufacturers are going from “Off Shore” to “Next Shore”-relocating production to sites that are closer to their eventual destination. Of course, disparate globalized production is much more difficult to manage than a centralized operation. To keep communication and management as streamlined as possible, manufacturers are employing what is called the SMAC (Social, Mobile, Analytics, and Cloud) Stack to consolidate their IT infrastructure. This system was pioneered by digital revolutionaries like Amazon and Netflix, which collects user data across multiple platforms to inform business decisions. Manufacturers were once in the enviable position of being a mostly B2B business. As we’ve written before, Web 2.0 is changing that. Businesses are buying more like consumers-doing their own research online by comparing products and prices. This means that manufacturing sales are more reliant on websites and social media than ever before. In 2015, no one is surprised that the Internet is still running the show when it comes to marketing, business, and technology. But it’s not easy to see what’s coming until it’s too late. To our friends in the manufacturing industry: it’s never too late to get in touch!